HP announced two new handsets yesterday, as the company looks to expand its handheld offerings into the mobile phone market. 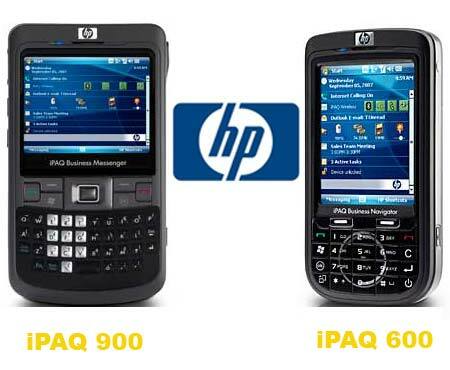 First is the iPAQ 600 Series Business Navigator, HP’s second cell phone, a 3G handset using a traditional 12-key keypad, which also includes a navigation wheel, a 3 megapixel camera, Wi-Fi, including VoIP capabilities and navigational features including 3-D maps. HP has not yet announced pricing or availability, but did say the phone should be available by the end of the year and would be compatible with most U.S. carriers. The company also announced the iPAQ 900 Series Business Messenger, a smart phone with a full keyboard that comes with many of the same features of the 600 series, including Windows Mobile 6, Wi-Fi capabilities, Bluetooth, a 3 megapixel camera and large display.